Big Bob at SB Sheds has been at this location for close to 20 years going back to the old Ted Sheds days. Originally from Chicago, Bob is active in many civic organizations in Crystal River and Citrus County. From the Corvette Club to the Harley Club – and Bob rides in fundraising parades for Shriners , Hospitals and Masonic Events. Bob is truly local. He prides himself on having the Best Products and Service while maintaining the LOWEST PRICES. 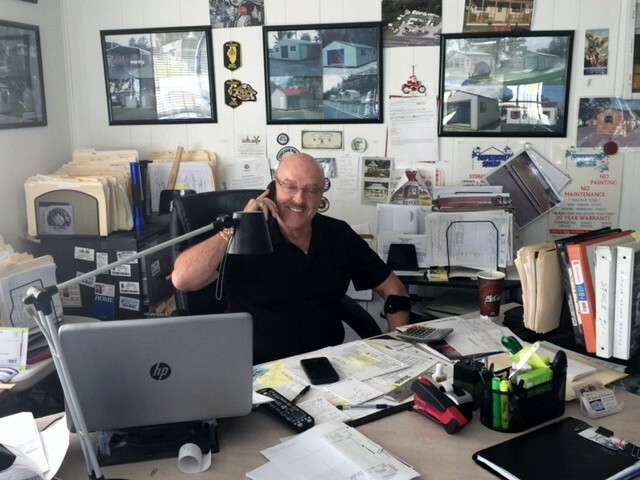 That is why he has the oldest and most successful shed sales lot in Citrus County. Stop by and check it out for yourself – Big Bob has a large display of Superior Sheds – sizes, colors and styles! Plus a full line of Carports, Steel Buildings and Gazebos. Easy Financing – Rent to Own – Fast Delivery. Custom ordered sheds also if you want something different – No Problem. Stop in – Meet Bob – see for yourself!! *Sheds sales and delivery servicing Citrus County, Crystal River, Homosassa Springs, Lecanto, Inglis, Beverly Hills and surrounding areas.